The Nigeria Customs Service has distributed 252,666 (50kg) bags of rice worth N3.79 bn in the last 22 months to Internally Displaced Persons (IDPs) in the Northeast and Benin. The Public Relations Officer of the Service, Mr Joseph Attah, made the disclosure in Abuja on Sunday during an interview with newsmen. Attah said that the exercise was in compliance with the Presidential directive given in January, 2016, to the Service to donate all seized perishable items to Nigerians affected by the insurgency in the Northeast. 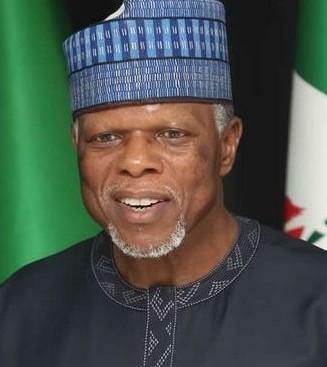 According to him, in February 2016, the Comptroller-General of Customs (CGC), retired Col. Hameed Ali, inaugurated a National Logistics Committee (NLC) with members drawn from Customs, Nigerian Army and Nigeria Air Force. He said the committee also had members from Nigeria Police, FRSC, NSCDC, NAFDAC, NTA, NAN, NUJ and Red Cross. He said that the committee was mandated to transfer all seized rice and other relief items to IDPs in Borno, Yobe, Adamawa and Edo States. Attah said that to ensure security and transparency in the process, the items were transported from the various government warehouses by the Nigerian Army Corps of Supply and Transport to various states in the Northeast and Edo. He said, ‘‘252, 666 (50kg) bags of rice worth N3.79 billion were distributed to the IDPs in the Northeast and Benin in the last 22 months. ‘‘Likewise, 82,140 25 litres of jerry cans worth over N985 million, 19,491 cartoons of soap worth N52,625,700 and other items such as bales of used clothes, cartoons of spaghetti,25 litres jerry cans of palm oil, cartoons of slippers, bags of footwear, dozens of children shirts were also distributed. “Dozens of female wears, dozens of female hijab, cartoons of mosquito coil, sacks of school bags, branded wrapper, bales of praying mats. “Rolls of textile, cartons of sugar among others in their thousands were also distributed to the IDPs. ‘‘Despite the tonnes of rice and other relief items already transferred to the IDPs , NCS warehouses across the country are still filled with rice. ‘‘This only shows that the sustained onslaught against unrepentant rice smugglers has continued to yield positive results,” Attah said. He said that the items in the warehouses were either awaiting court forfeiture to the Federal Government or has already been allocated to government of the affected state who pays the Army Corps of Transport and Logistics for transportation to the IDPs. On e-auction, Attah said that so far 646 numbers of vehicles had been won with over N272 million generated as revenue for the Federal Government. He said that since the commencement of the e-auction process, 5,454 persons had registered while 4,865 actually nodded and 646 emerged winners. ‘‘This is to ensure maximum revenue from the process while still providing equal opportunities to all interested Nigerians to log on to the e-auction portal and bid for any items they wish,” Attah said. He said that the NCS would continue to be careful in handling goods at its warehouses so as not to avoid needless litigations by claimants as a result of illegal disposal. Attah recalled that the Customs’ CGC launched the e-auction platform https: app.trade.gov.ng/e-auction on July 3, 2017. The post Customs distributes rice worth N3.79bn to IDPs in Northeast – Official appeared first on Vanguard News.